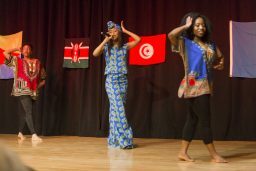 Bowdoin’s Africa Alliance, a student organization dedicated to uniting African and non-African students through cultural exchanges, recently held its biennial Pan-Africa Fashion Show. 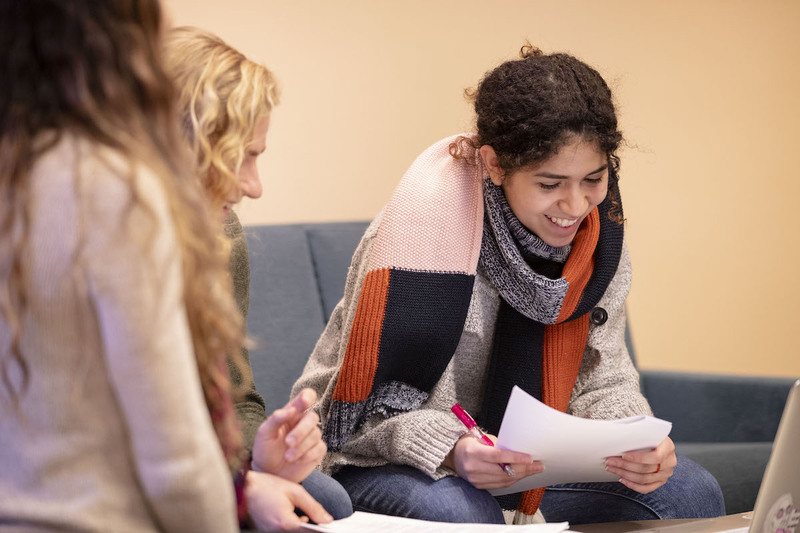 A new journalism class this spring welcomed Spanish heritage speakers, who are students who have grown up around Spanish but may not have formally studied the language. 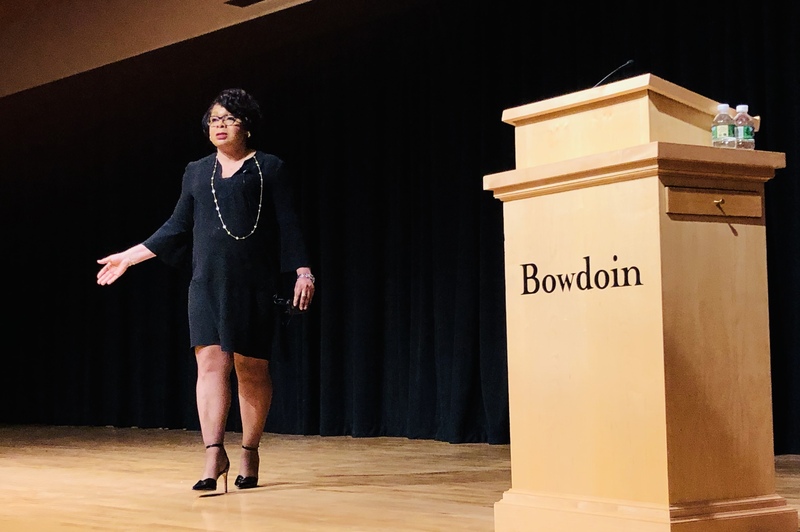 The College's four inaugural multifaith fellows were asked to share some of their new knowledge and understanding with the Bowdoin community. 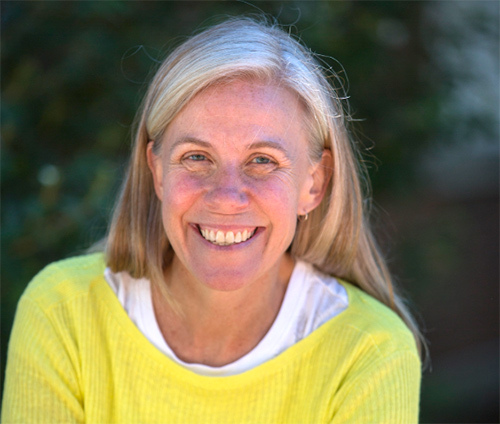 Current Dean of Students Janet Lohmann will become Bowdoin's new dean for student affairs, starting July 1. 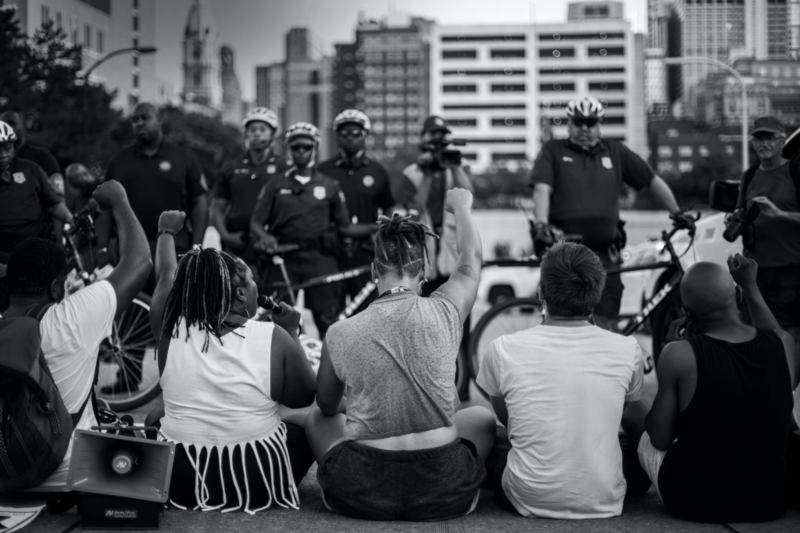 As a continuation of orientation activities that occur at the beginning of the year, first-year students are participating in a new dialogue program to discuss race and racism. 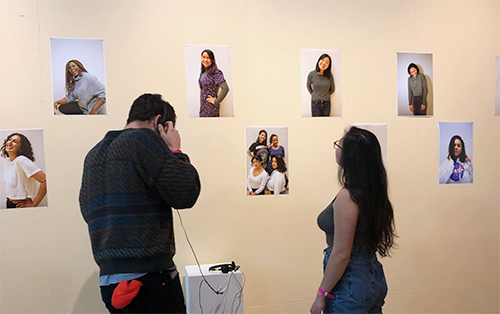 The show in Smith Union's Blue Gallery, put on by Bowdoin's QuestBridge chapter, features photographs of low-income students holding up statements about how finances have shaped their experiences. 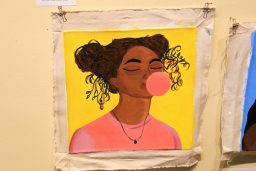 The new student-curated exhibit titled "Beauty in Color" features photographs and audio recordings from forty Bowdoin women of color. 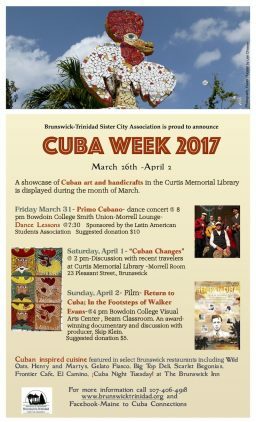 Visit the exhibit all month in Lamarche Gallery. 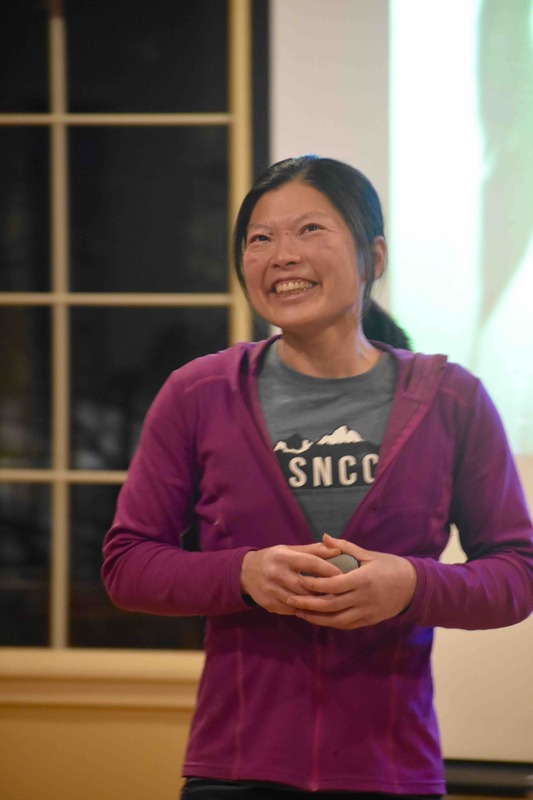 As part of the Outing Club team's push to make the outdoors accessible to everyone, they invited a famous climber to give a talk on campus and go rock climbing with students. 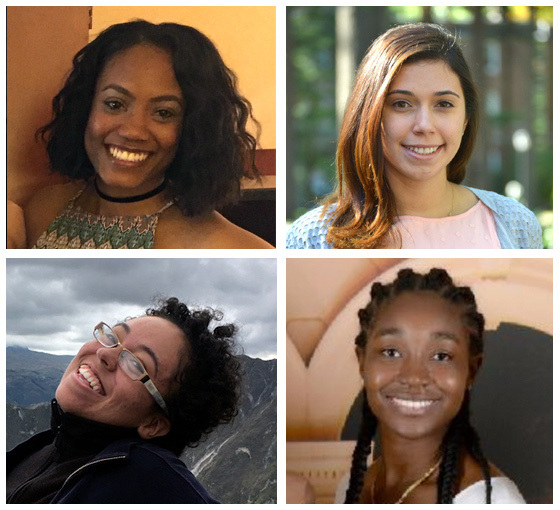 As part of an ongoing student-speaker series, several students who are the first in their family to go to college spoke about their experiences at Bowdoin. 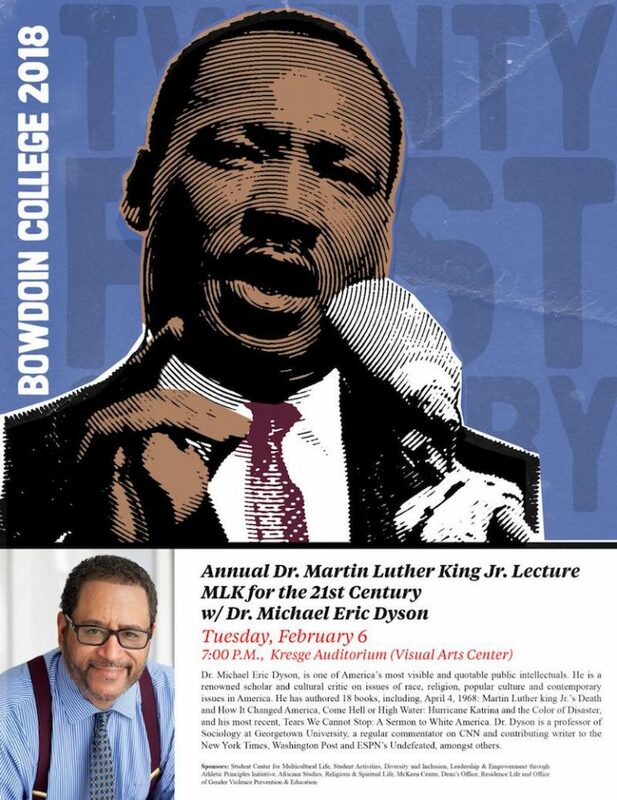 Every January, during the week before classes start, two groups of Bowdoin students tackle social issues that are right on their doorstep. 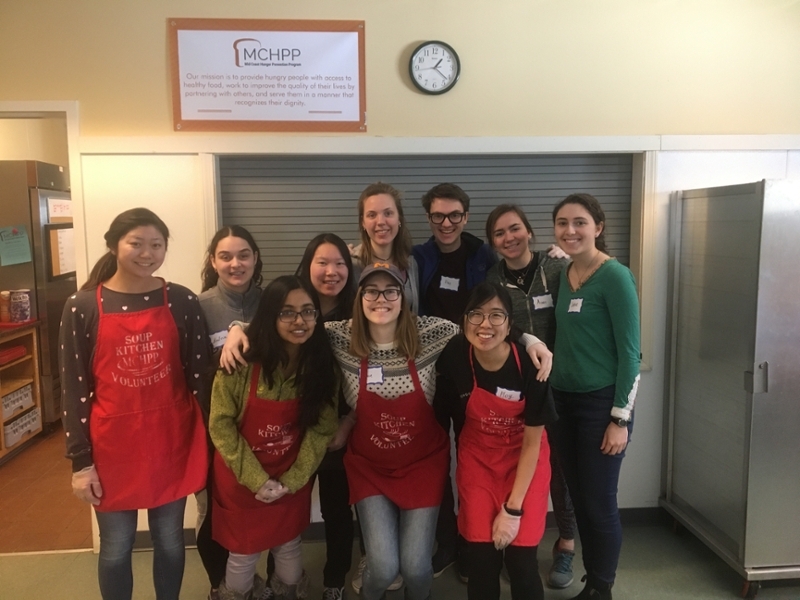 This year’s cohort headed to Portland to help two populations who are particularly at risk. 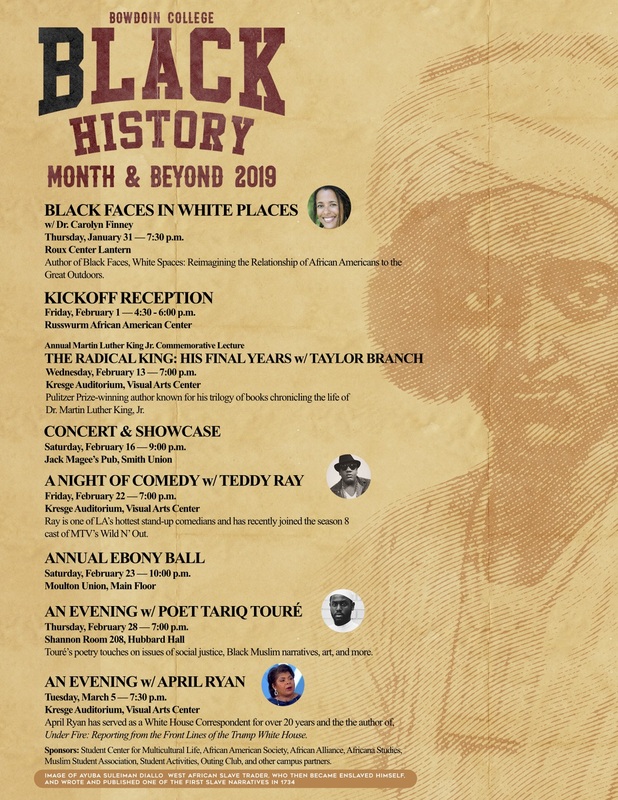 Bowdoin is celebrating Black History Month this year with a rich array of events. On Monday, students attended special classes to contemplate the teachings of Martin Luther King Jr. and their continuing importance today. 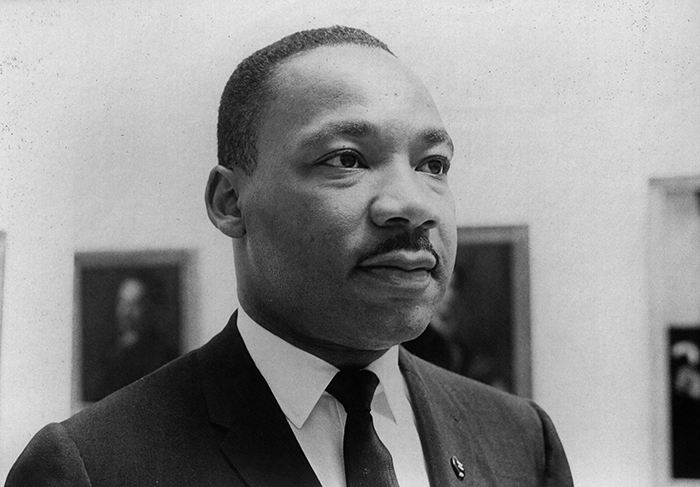 The day before spring semester begins, take part in any of a number of events honoring Dr. King's legacy. 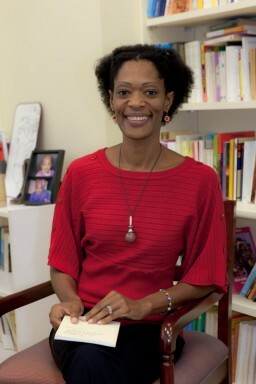 A newly formed group this semester has been busy knitting items to give away to those in need. 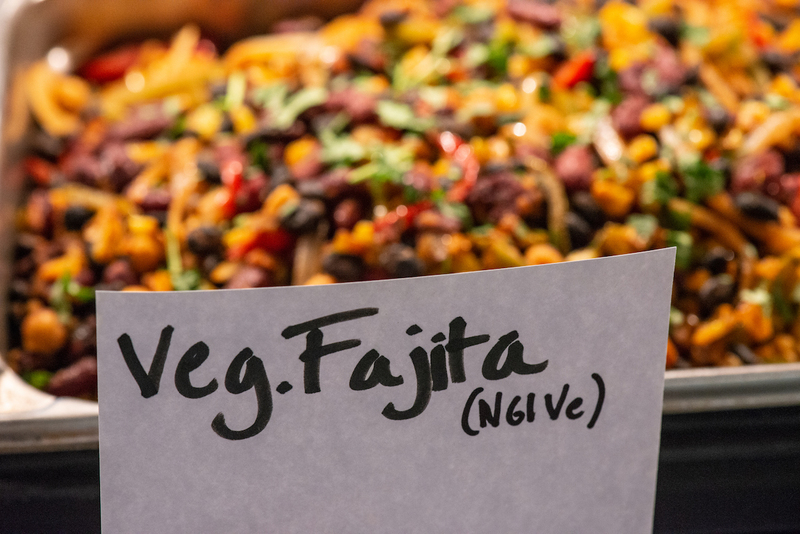 Around campus, different groups have been celebrating the holidays in all sorts of ways, and with all sorts of treats, from elaborate cookies to latkes. A random survey of a handful of students on their best fall classes elicited a range of answers. Organic chemistry, anyone? Charlotte and Dave Willner, from the class of 2006, raised more than $20 million to help reunite separated families at the Mexican-U.S. border. Dave Willner was on campus to tell the story—and talk about how other fundraisers might go viral. 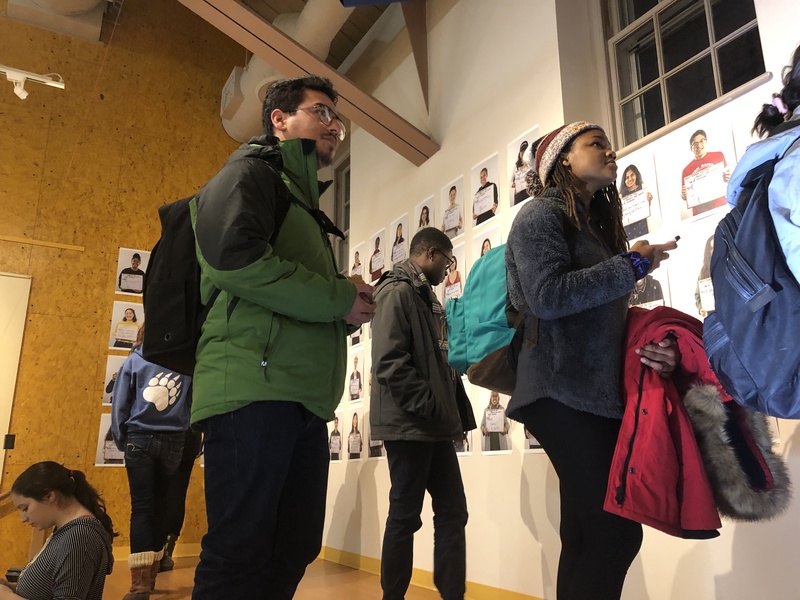 Kang's show, which opened in Smith Union last week, highlights the cruelty of bigotry while also celebrating individuality and personal strength. Let the Thanks Giving (and Eating) Begin! 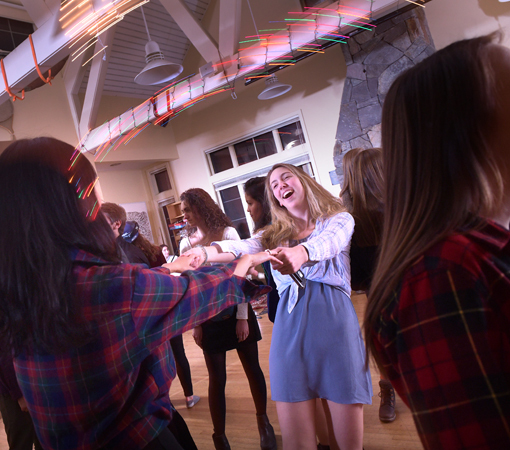 Around campus, Bowdoin students celebrated Thanksgiving with friends before departing for the holiday break, which begins tomorrow. 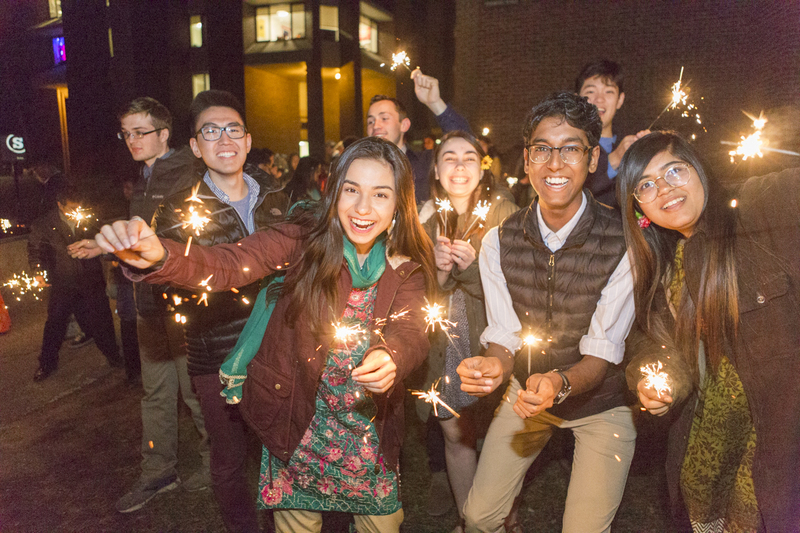 The South Asian Student Association held a festival of lights last week to celebrate the important Hindu holiday. Members of the Latin American Student Association invited anyone to add a photo of a loved one to its Day of the Dead altar. 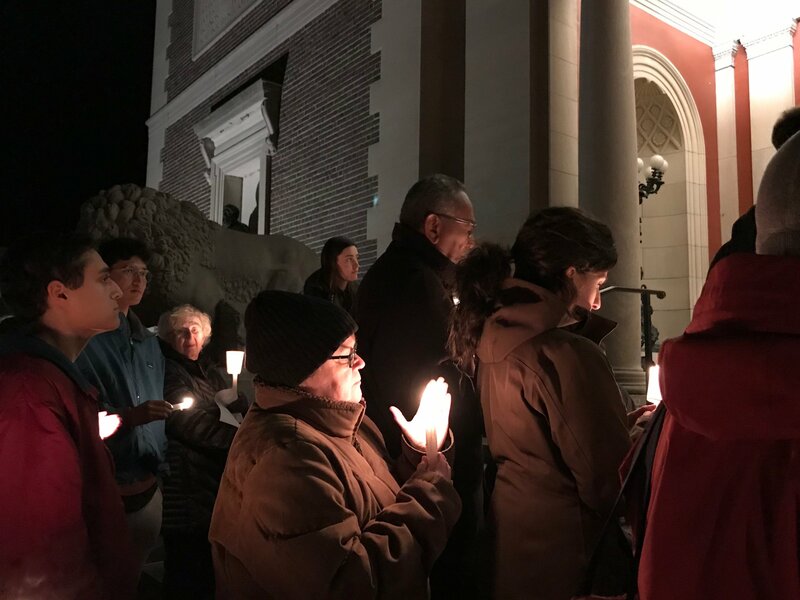 The gathering of students, staff, faculty, and townspeople, organized by Hillel students, grieved the recent violence at Tree of Life Synagogue and reaffirmed the community's commitment to making the world more just, peaceful, and compassionate. 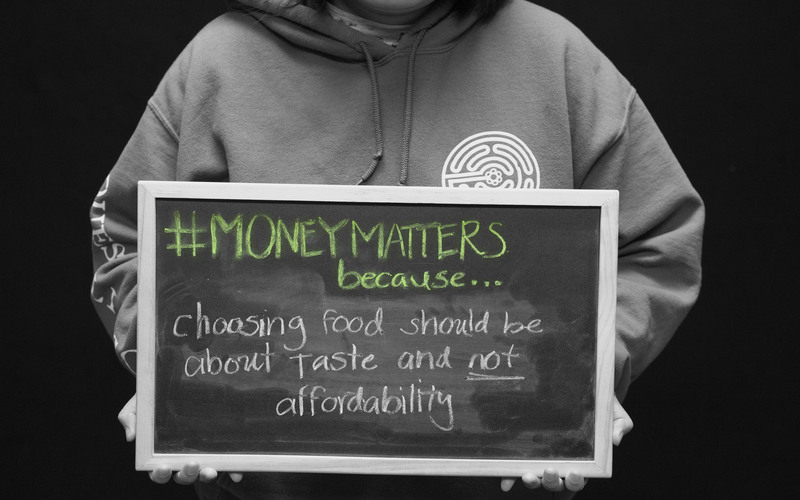 The event, a collaboration between The McKeen Center’s What Matters series and Make Shift Coffee House, a Brunswick nonprofit that facilitates dialogue among people with different views, demonstrated the ability for the campus to consider new perspectives and for students to challenge their ideas and those of others among friends and unfamiliar faces. Donning yellow shirts has been a campus tradition since 2005, when an anti-gay rights advocate spoke at campus. 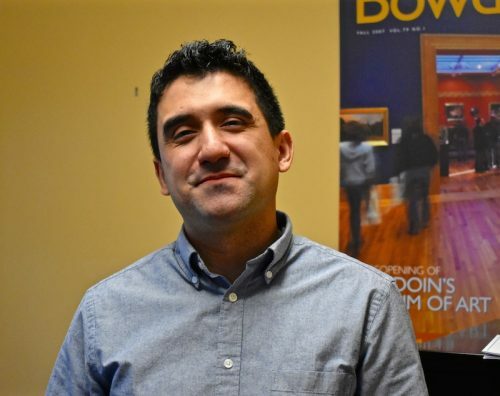 “We want to break down barriers to entry, and figure out what would convince someone to come,” Director of Student Activities Nate Hintze said. 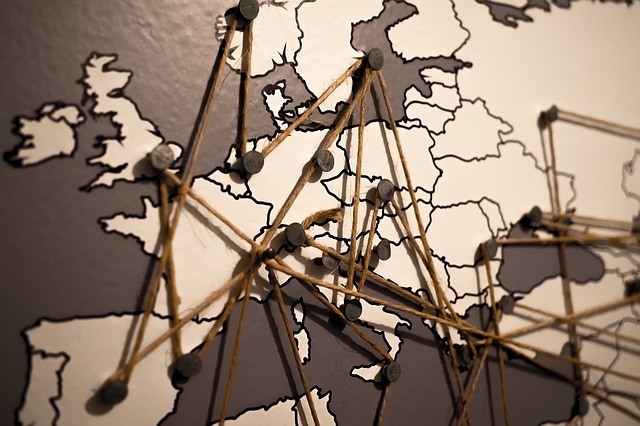 The Multifaith Fellowship will not only provide students with insights into the world’s major religions and practitoners, but may also help them reach across other divides. 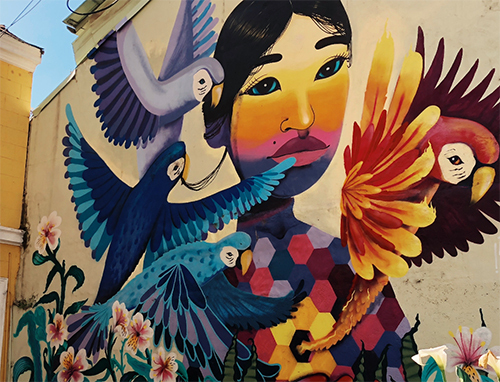 “I think if we can develop these skills of multifaith engagement, they apply to multiracial engagement, multi-political-party affiliation engagement, and multinational engagement,” Eduardo Pazos Palma said. Members of the Class of 2018 posed for photographs and reflected on the campus spaces they loved best. 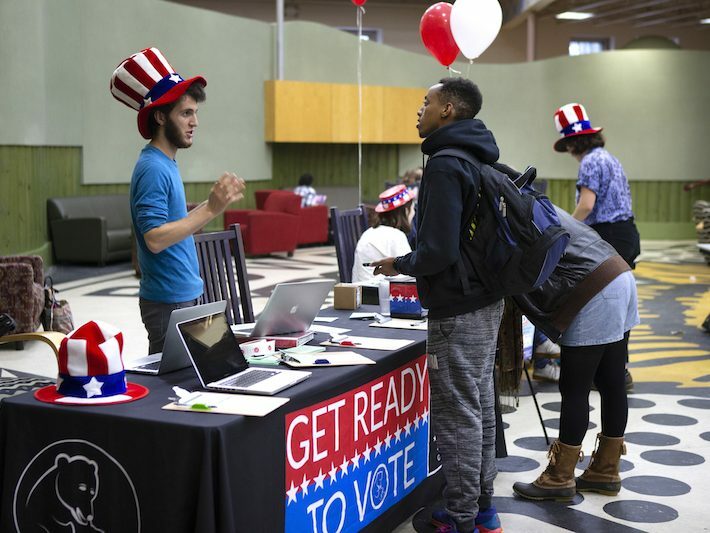 Bowdoin Votes, a nonpartisan get-out-the-vote effort on campus, held a Politics Fair yesterday in Smith Union in honor of National Voter Registration Day. 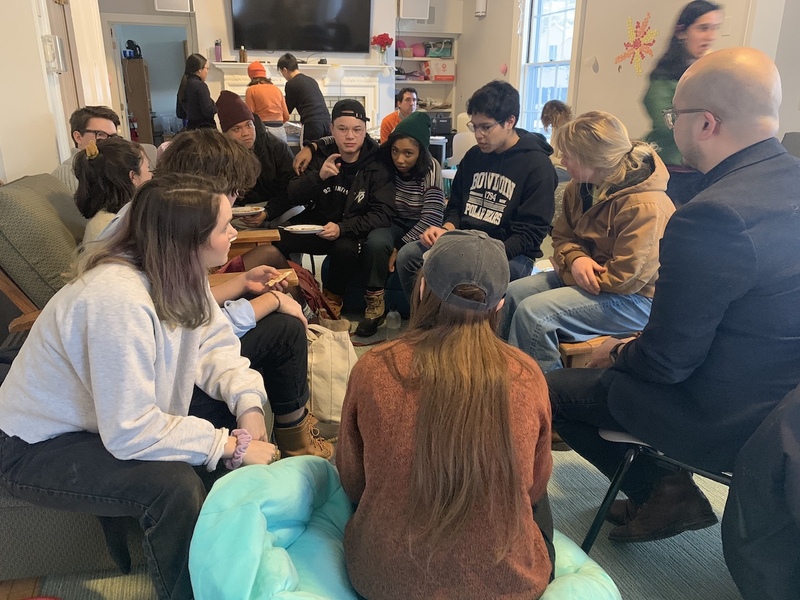 One of the reasons THRIVE director Jessica Perez wanted to bring together the eighty-six first-years in the new Bowdoin program she runs was to give them an opportunity to see the sheer size of their group. 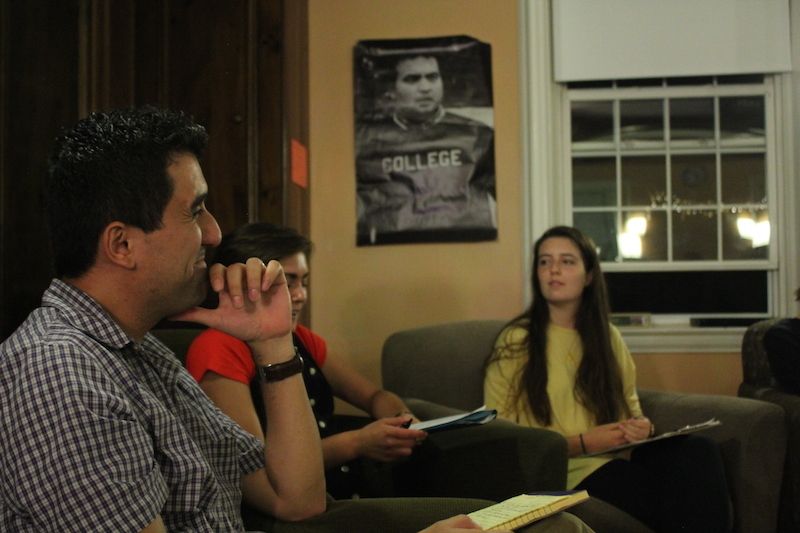 “THRIVE is a community made up of all of you,” Perez said to the students gathered in Maine Lounge. 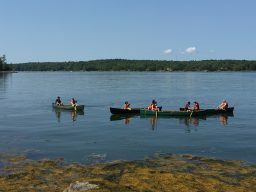 First-year orientation trips are a way for students to start their Bowdoin experience in an intense and fun way, to make first connections, and to get to know Maine a bit before the academic rigors of the semester set in. 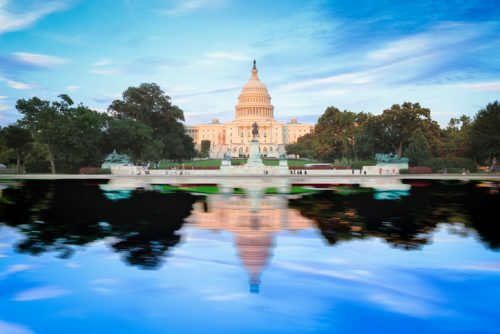 “Right now there is a national awakening that colleges have a responsibility to do more about civic engagement and voting,” says the McKeen Center’s Andrew Lardie. 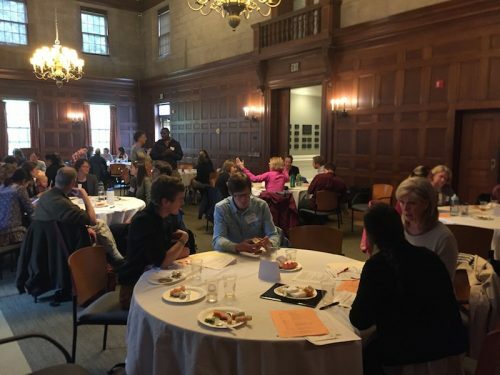 High school counselors, college admissions staff, deans, financial aid advisors and many others who help talented low-income students gain admission into colleges or universities, and help them to thrive there, gathered at Bowdoin this week to share their knowledge and make connections. It’s not often that nuns visit Bowdoin. 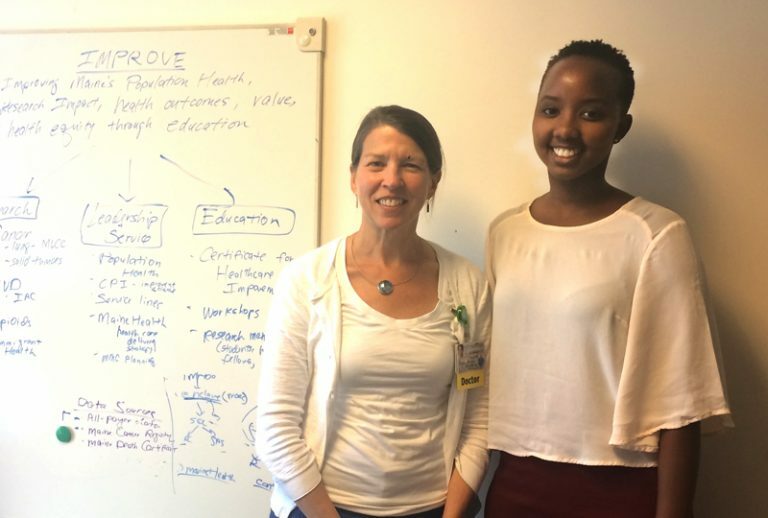 Last week, however, Mary Pendergrast and Chris Loughlin, a pair of activism-orientated nuns, met with students for the first event in a new series, Spirituality and Sustainability: Exploring Common Ground for the Common Good. 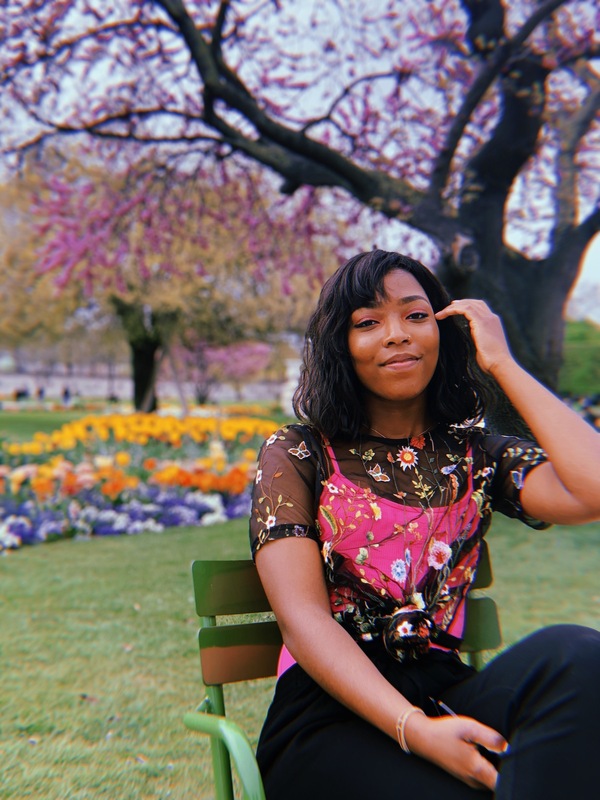 "We were very committed to remaining true to the stories people submitted, and we emphasized this during the writing process, and I think this resulted in an even more intersectional, authentic script." 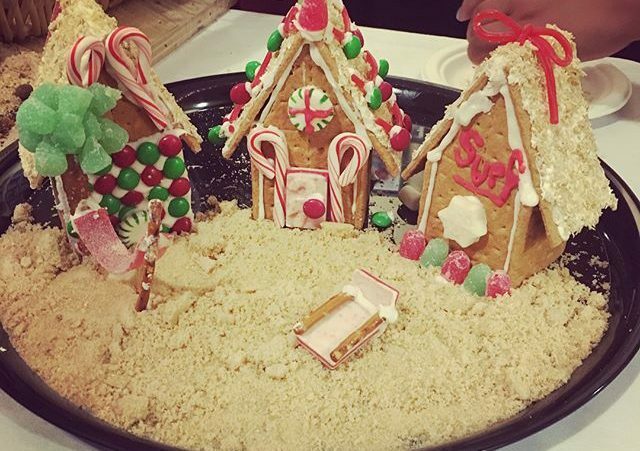 Students from ResLife, Multicultural Life, the Sustainability Office, and the Bowdoin Outing Club crafted some truly impressive gingerbread houses. 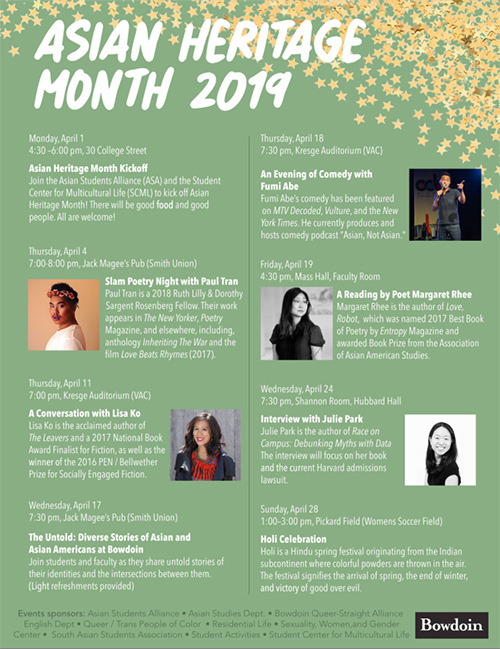 Though the panelists came from a broad range of religious traditions and understood their own spiritualities quite differently, it became clear over the course of the talk that, by being religious at Bowdoin, they have shared a set of experiences. 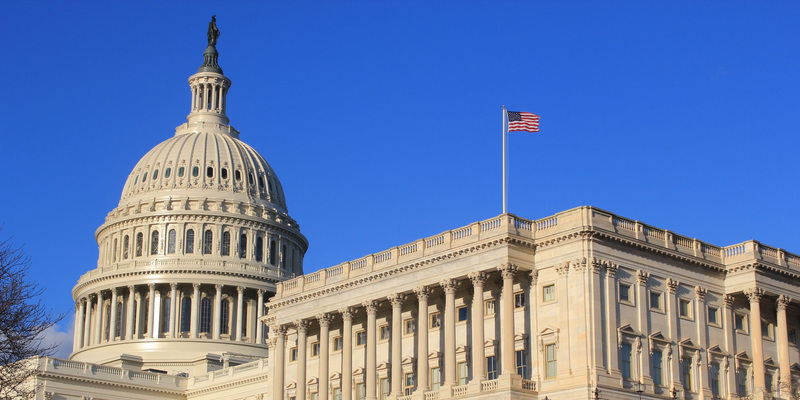 “We need effective government now more than ever, and our hope is that this program will spark the desire for public service in many of our students," said President Clayton Rose. 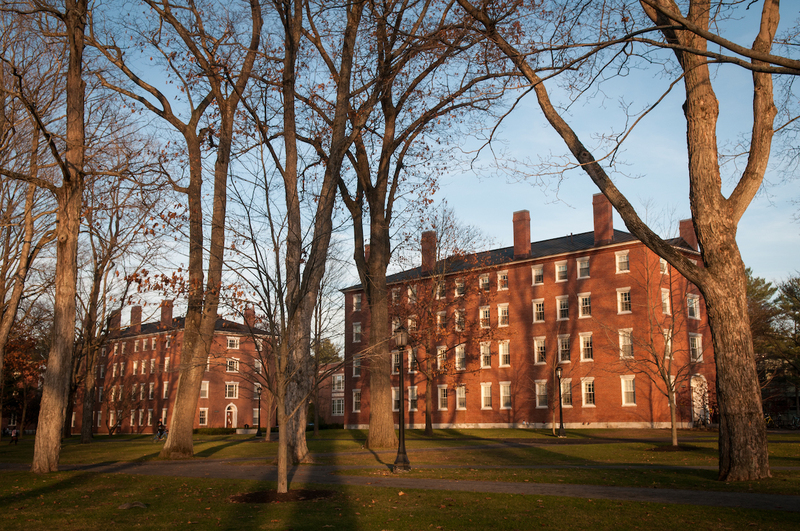 Just next door to where we are gathered today stands Massachusetts Hall—Bowdoin’s first building. 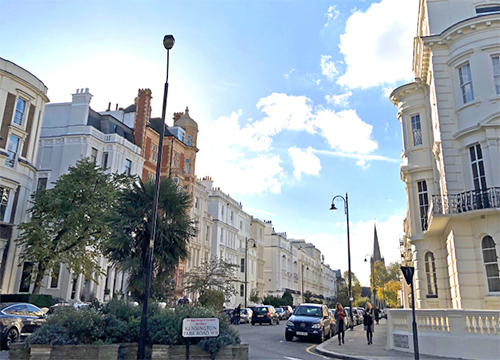 It opened 215 years ago in September 1802. This is a big week for first-year students. 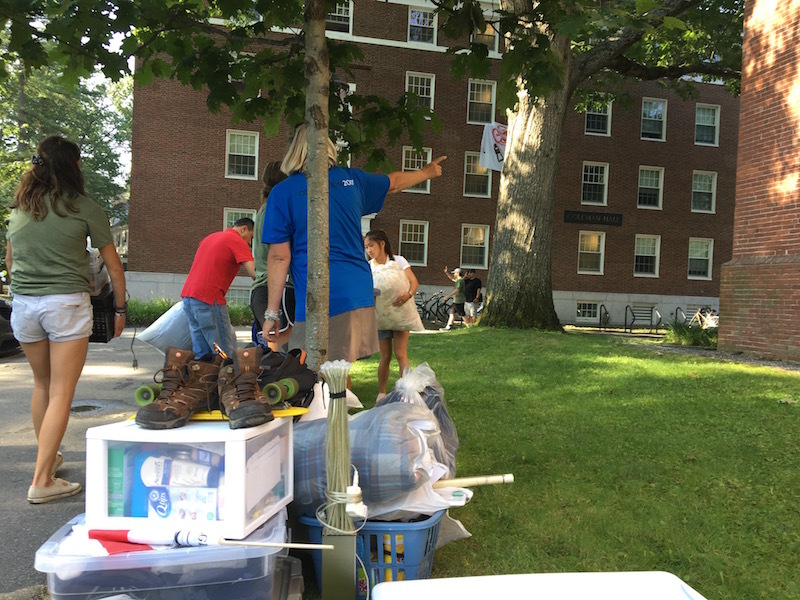 They arrived on campus Tuesday, moving their stuff into their dorm rooms and meeting roommates. 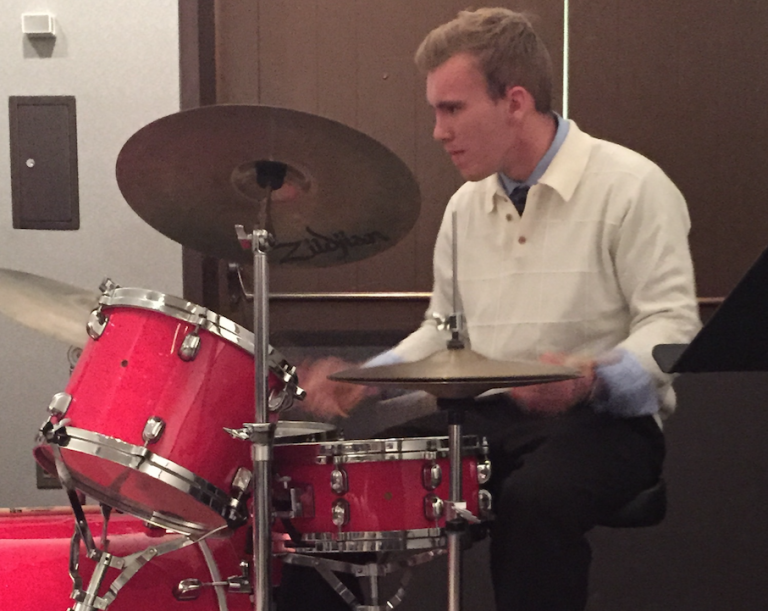 "This is a great opportunity to hang out, meet people and learn about Bowdoin, which is great. 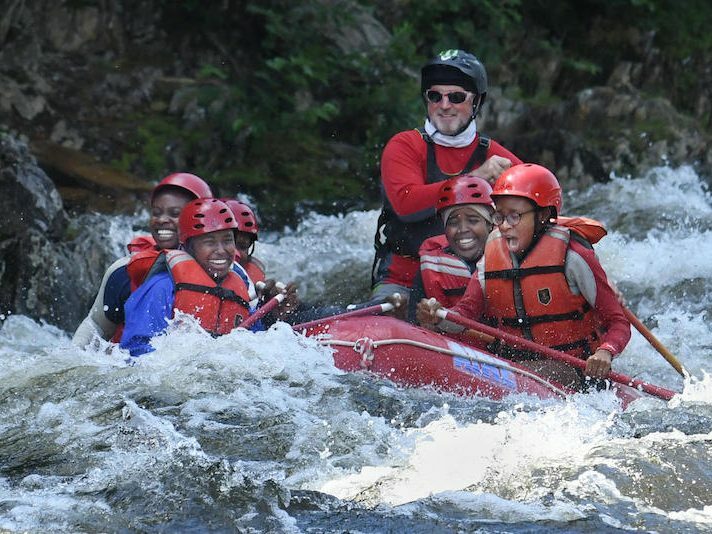 It's not 'go, go, go' like some camp experiences, but there are enough activities to make it fun." 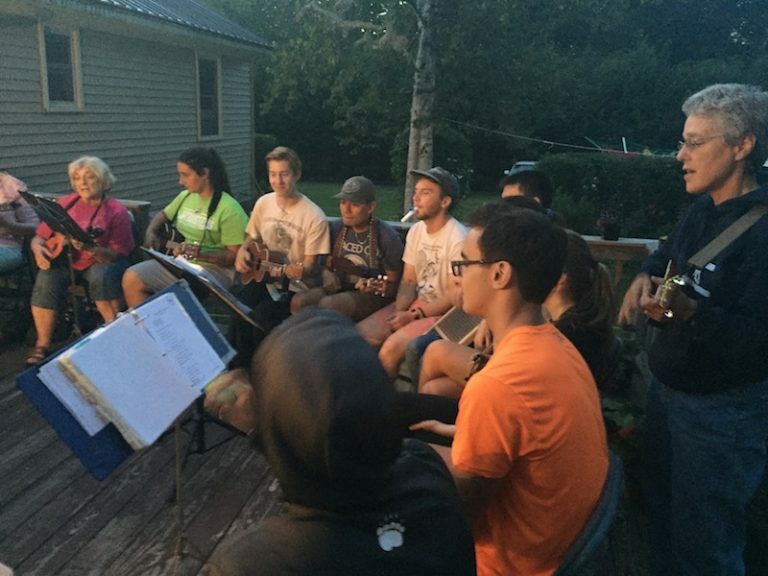 If the first-year students were anxious about the transition to college, they were in a close-to-ideal spot to sooth jittery nerves and distract them from impending big changes. 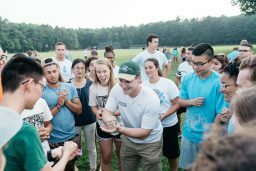 Emotional scenes on campus on August 22, 2017, as the Class of 2021 moved into their dorm rooms. 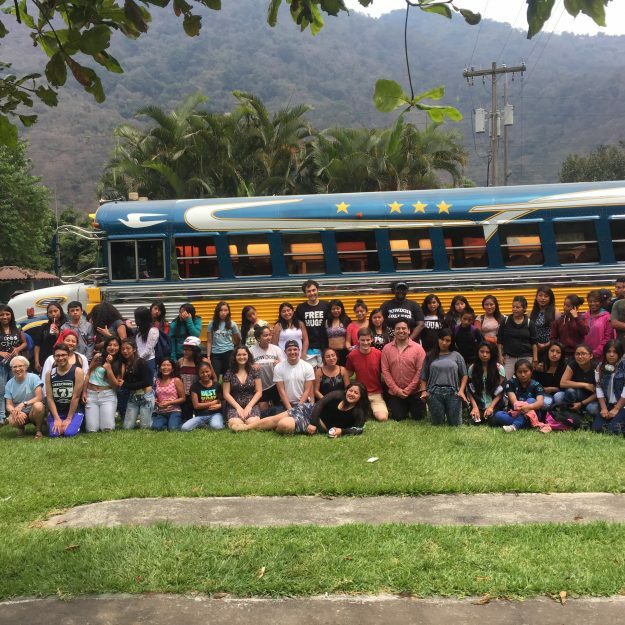 Student helpers were on hand as carloads of incoming first years and their families arrived in Brunswick from all corners of the country. In Studzinski Recital Hall and Kanbar Auditorium, President Clayton Rose on Tuesday afternoon officially welcomed the families and friends who were on campus dropping off first-year students. 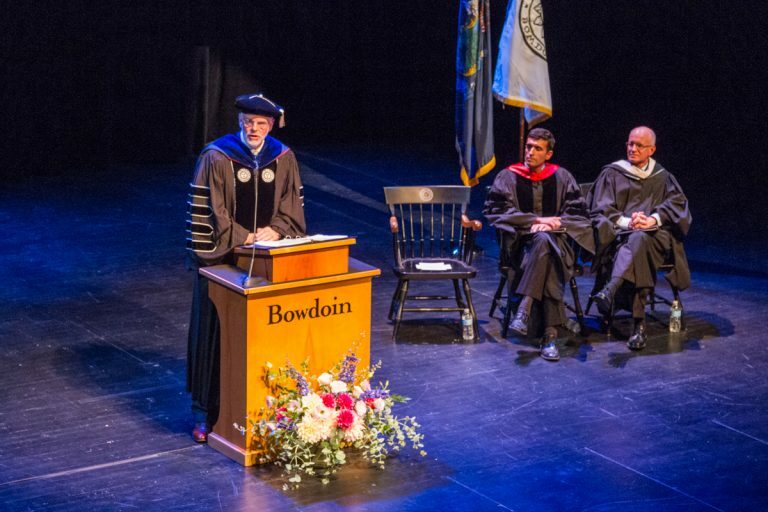 Following his remarks, Dean for Academic Affairs Elizabeth McCormack spoke about Bowdoin's academic programs. Bowdoin College’s Common Good Grant program, administered by the McKeen Center, has provided some of the funding for a gardening initiative in nearby Bath, designed to help elderly and disabled people grow more of their own food, reported the Coastal Journal. 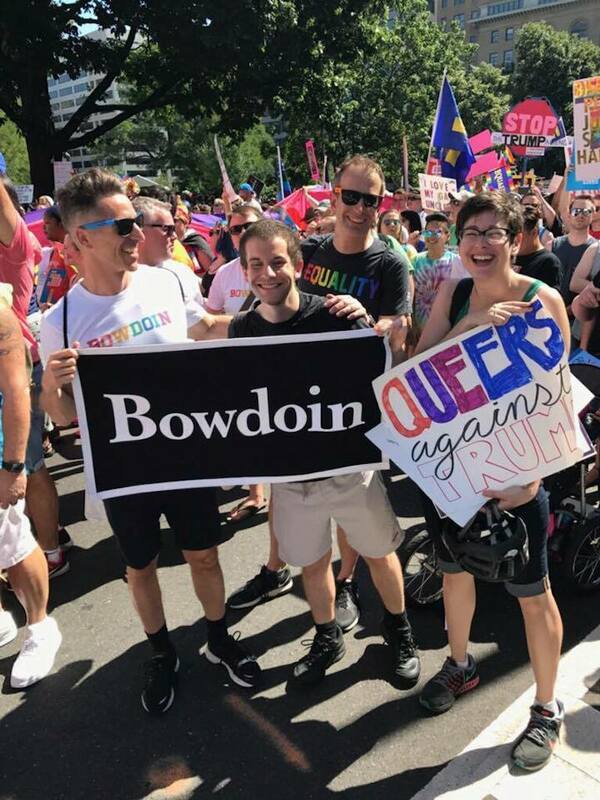 Working with Kate O’Grady from the Office of Alumni Relations, Mark Lenhart ’89 rounded up several Bowdoin alumni and their partners to join the Equality March for Unity and Pride in Washington DC on June 11. 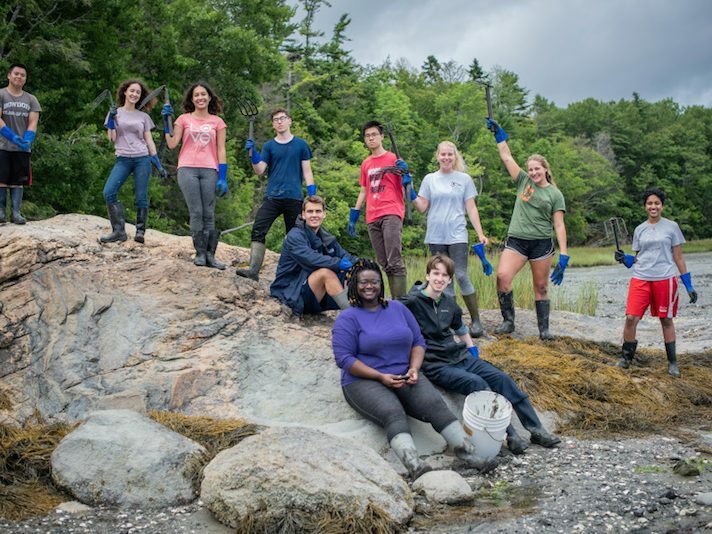 Two dozen Bowdoin students have fellowships from Bowdoin this summer to intern for local organizations committed to helping Maine’s people and its environment. 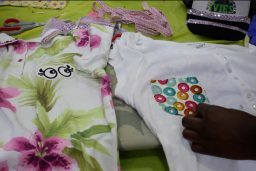 On the Tuesday before Ivies weekend, the Women's Resource Center and Bowdoin Craft Center set up a temporary fashion house in Morrell Lounge, putting out a wealth of used clothing purchased from Salvation Army. 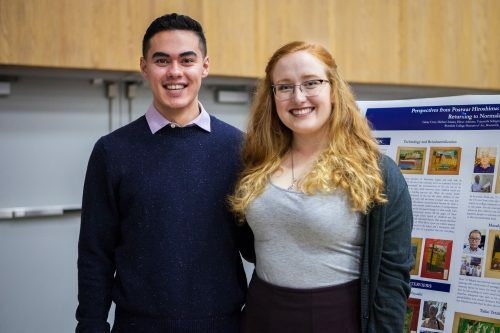 The McKeen Center recently hosted the Common Good Grant Awards Ceremony and Reception in Moulton Lounge to distribute grants to eight local organizations. 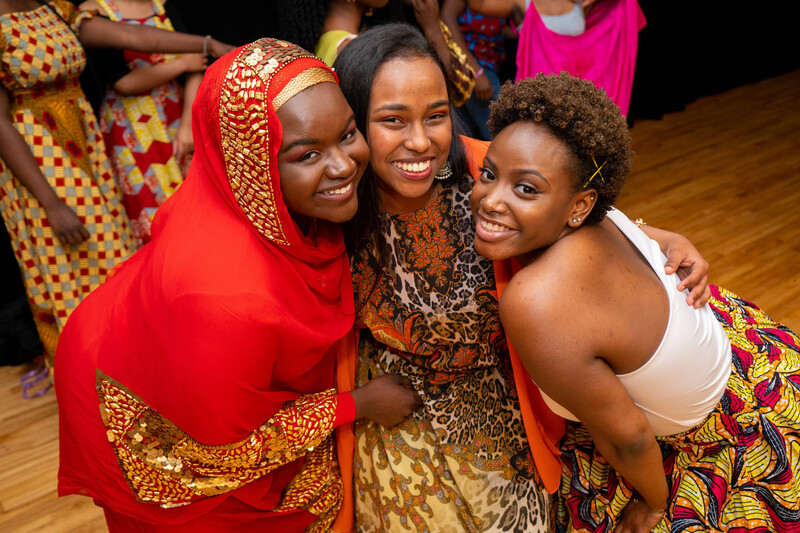 The Africa Alliance hosted a couple of African-themed events recently, starting on Friday evening with "Tastes of Africa," a dinner of traditional dishes cooked up by students. 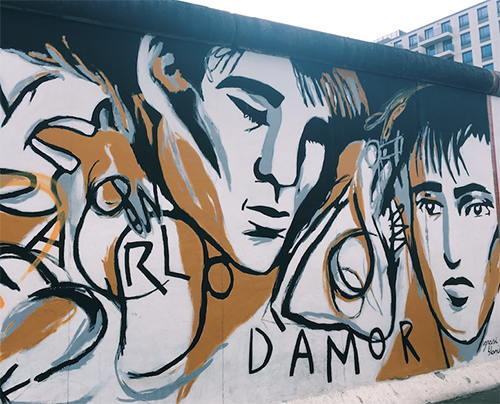 Each year, a foundation set up by the former Delta Sigma/Delta Upsilon fraternity invites students to submit artwork to its wide-open art show for photos, sculptures, paintings, drawings, and mixed-media pieces. 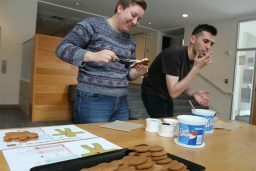 One way students at Bowdoin mark Transgender Day of Visibility on March 31 is by decorating "genderbread" cookies. 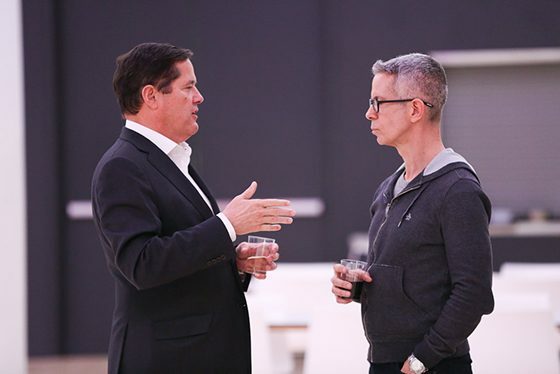 The 35th anniversary benefit of the Gay Men's Health Crisis honored AIDS activist Peter Staley and his brother Bowdoin College Trustee and Barclays CEO Jes Staley '79, P'11 in New York March 23, 2017. 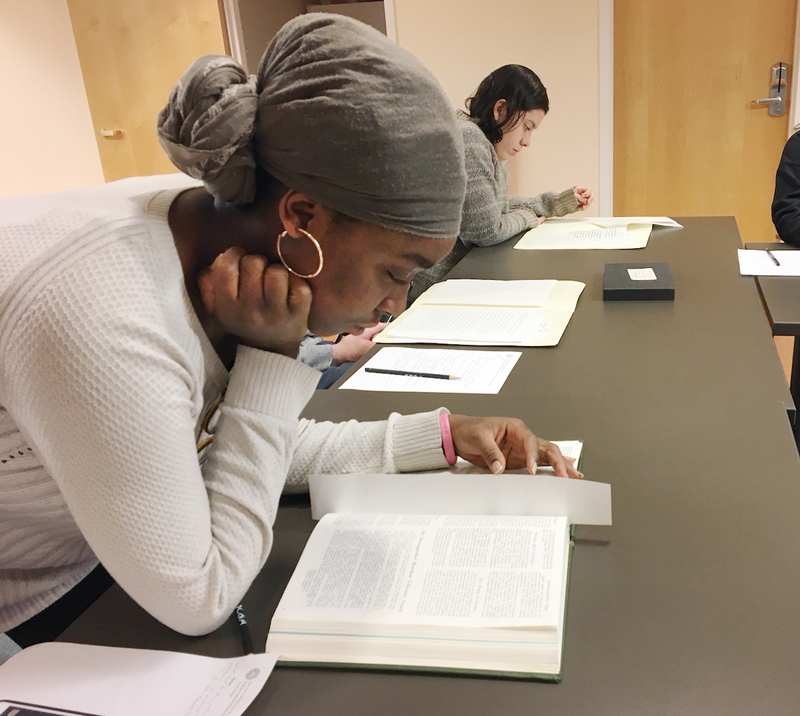 Japanese language students Michael Amano ’17 and Ginny Crow ’18 recently appeared in a New York Times article about students collaborating with college museums. 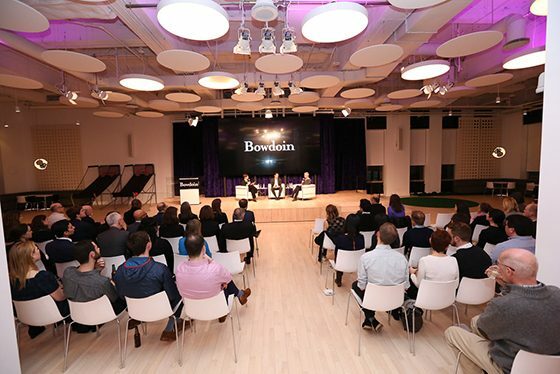 Nearly eighty members of the Bowdoin community were on hand at Yahoo in New York City March 9, 2017, to honor the work of AIDS activist Peter Staley and his brother, Barclays CEO and Bowdoin College Trustee Jes Staley ’79, P’11. 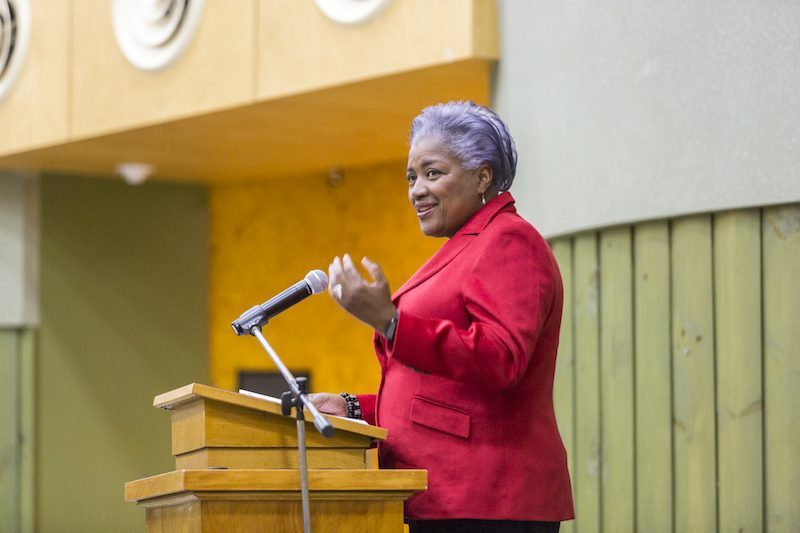 Donna Brazile, a longtime political strategist for the Democratic Party, spoke to students in Morrell Lounge, Smith Union on March 8, 2017, urging them to get involved in politics now, while they're still young. She also appealed to them to remain receptive to people whose beliefs don't match their own, and to listen closely to their political opponents. 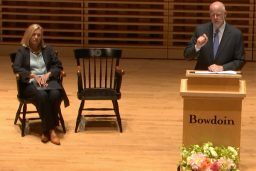 President Donald Trump’s foreign policy, as expressed so far through his actions and rhetoric, threatens to weaken the United States’ standing in the world, according to a Bowdoin government professor. 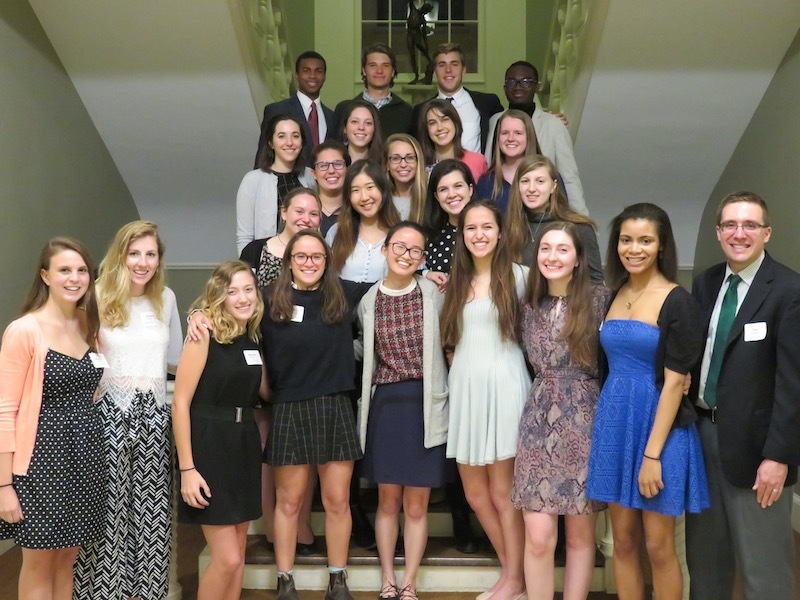 The members of Phi Beta Kappa, Alpha of Maine, have nominated twelve seniors for membership in ΦΒΚ. 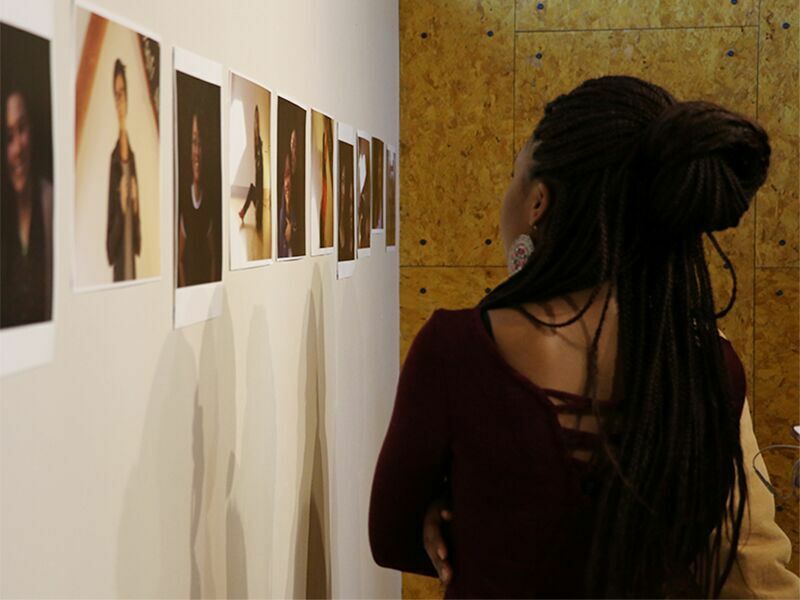 A current photography show in Lamarche Gallery in Smith Union is the outcome of a discussion among women of color at Bowdoin, who gathered recently to speak about what it means, and how it feels, to be in their skin on this campus. Part of the conversation included a photo shoot. 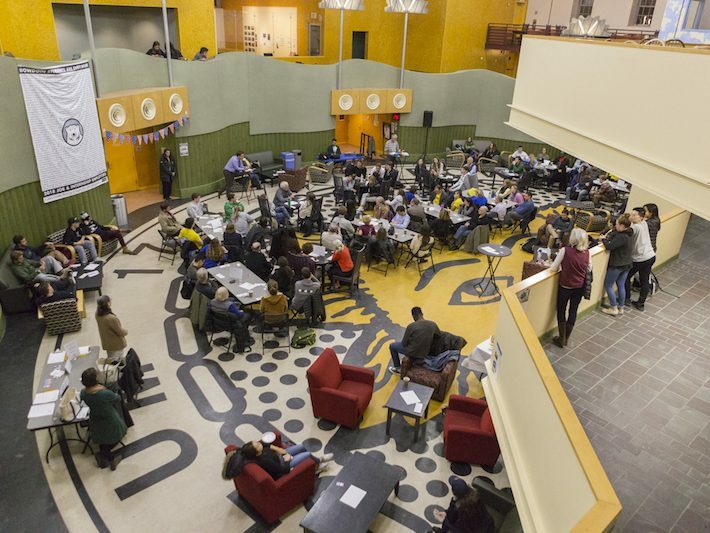 Thorne Dining Hall might have been, briefly, the meatball center of the world Thursday evening, when the Polar Chef Competition took place. 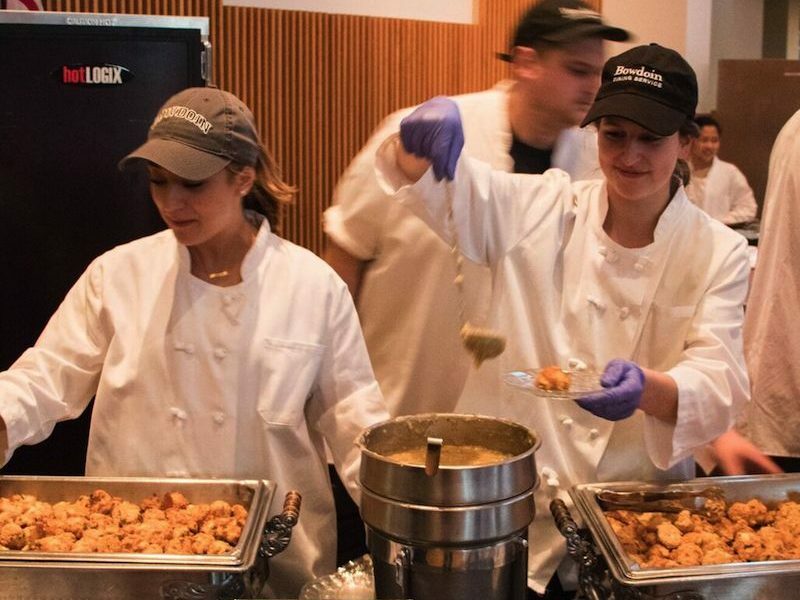 This year, the annual cooking competition featured three student teams (all dining hall employees) vying to make the tastiest meatball. 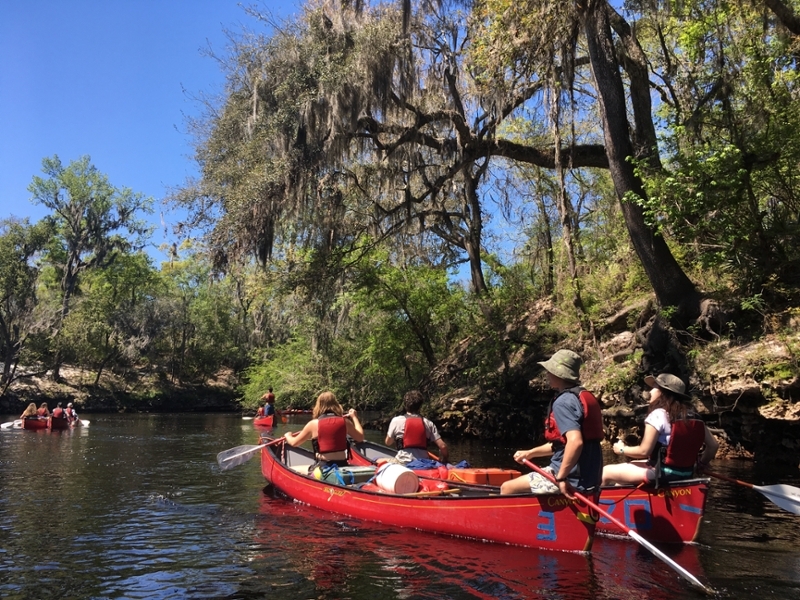 Each year, the Bowdoin Outing Club works with the Women's Resource Center to come up with expedition ideas that might appeal to women a tad skeptical about rugged outdoor adventures. Or to women who want to try something new. 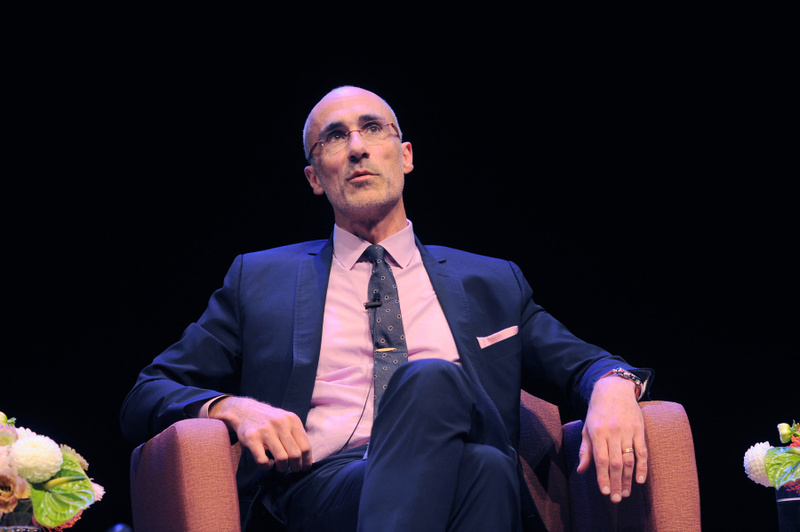 The McKeen Center for the Common Good recently hosted a panel of four alumni who are providing affordable housing in Maine and beyond. 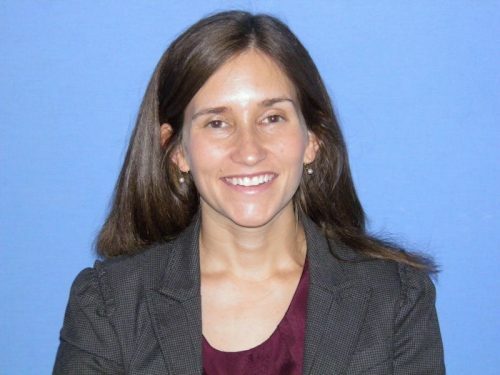 Bowdoin research librarian Barbara Levergood has responded to the quickly developing news of the day by putting together an online guide of primary and secondary sources that relate to current events in government. 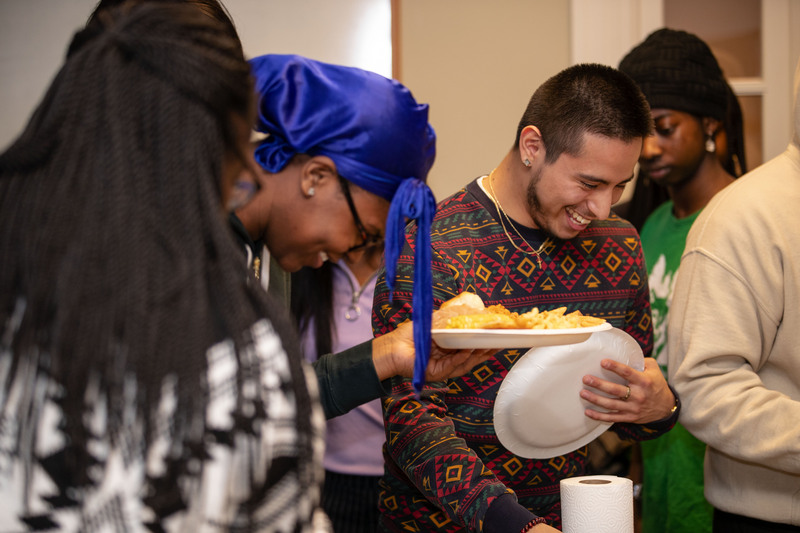 The two juniors have started a new club, The Bite for the Better Project, to offer free cooking classes at Brunswick’s Mid Coast Hunger Prevention Program. 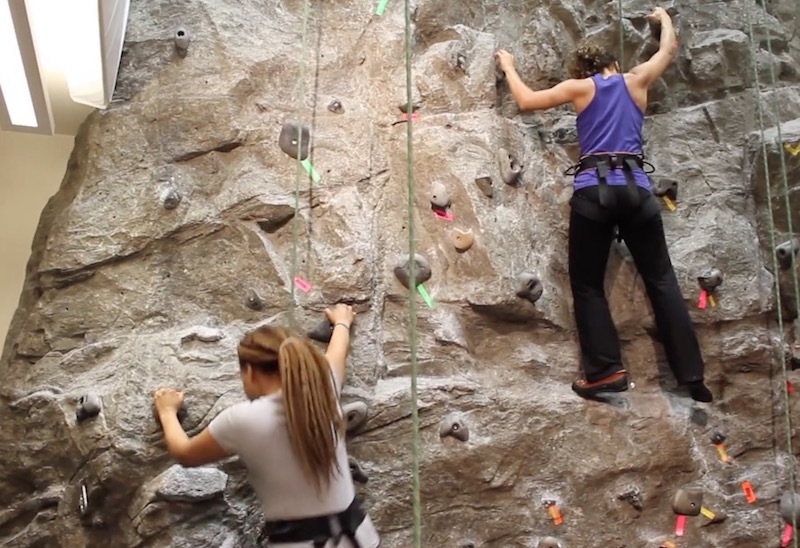 The Bowdoin Outing Club organized a four-hour Snolympics on Friday afternoon. 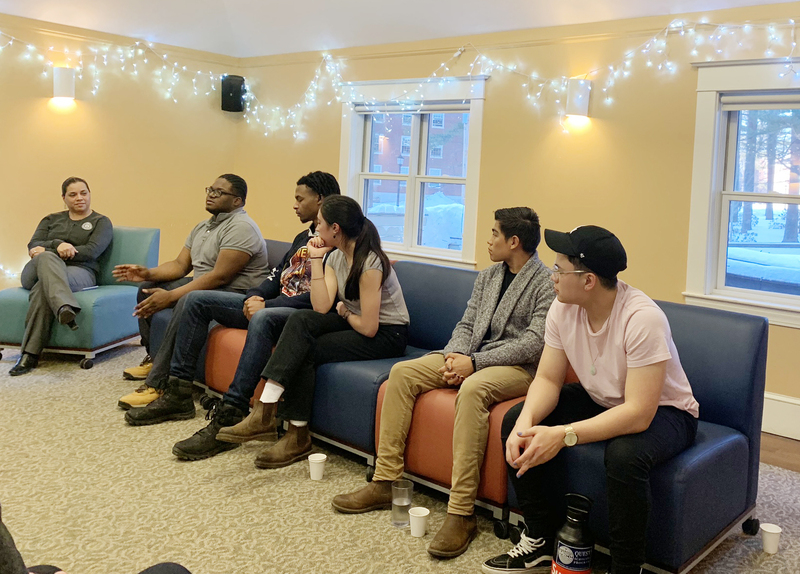 The Muslim Student Association and Howell House on Tuesday night hosted a panel of Muslim immigrants who are educators, writers, activists, and politicians in Maine. 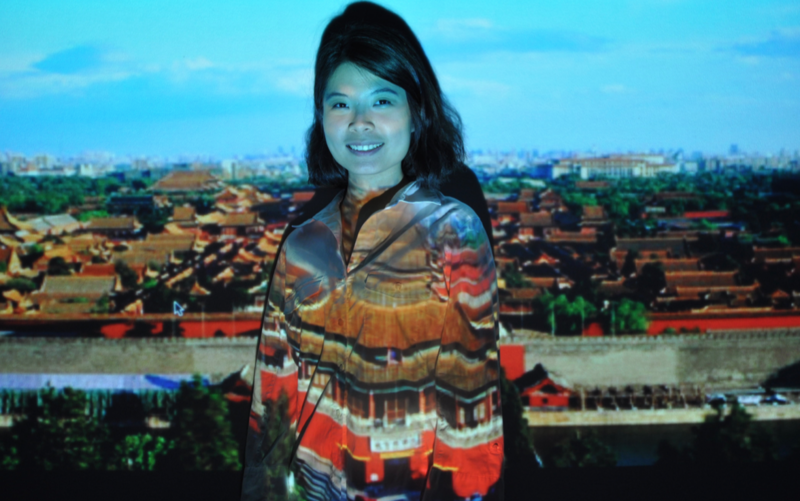 This year — the year of the rooster — the Asian Student Association, Chinese Language and Culture Club, International Club, and Chinese Language Program put on a bright celebration for the lunar new year, inviting the rest of the campus to their party and lantern festival. This winter, the Zars siblings went back into the Canyon together. 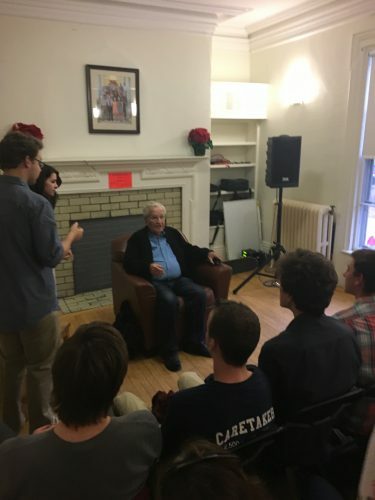 Two student political groups on campus — the Bowdoin College Democrats and Bowdoin College Republicans — recently asked a panel of government professors to speak about President Donald Trump. 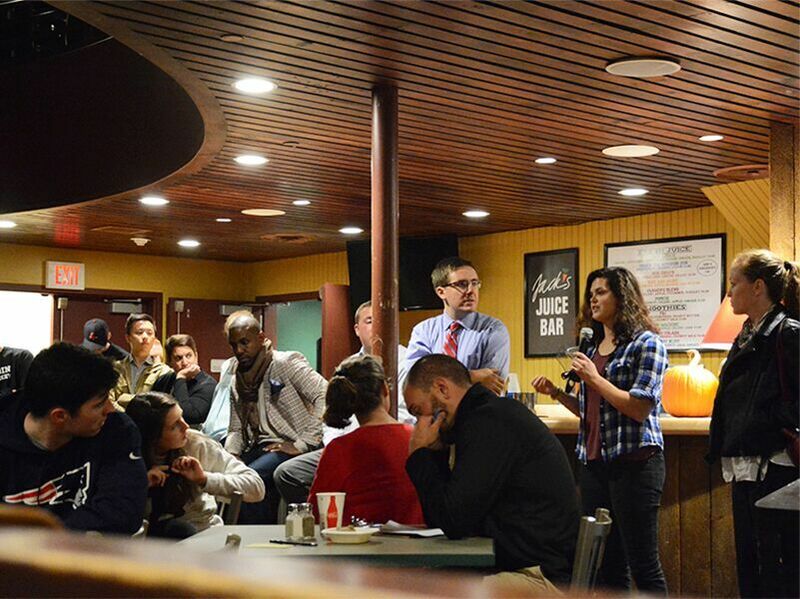 The issue of political diversity on campus, or the lack thereof, was the subject of a student debate. 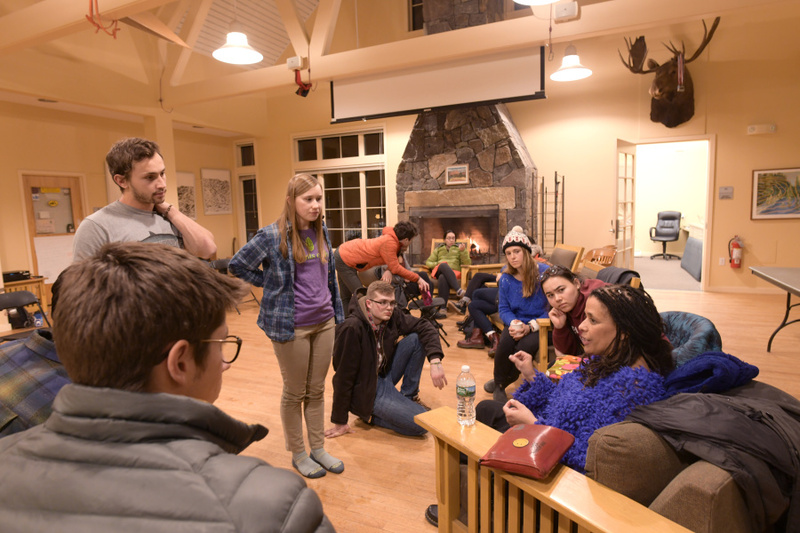 Members of the Bowdoin community recently gathered in the Cram Alumni Barn to celebrate the conclusion of the Alternative Winter Break program and to hear from student participants about their experiences. Bowdoin students on Wednesday afternoon joined a protest against one of President Trump’s executive orders. 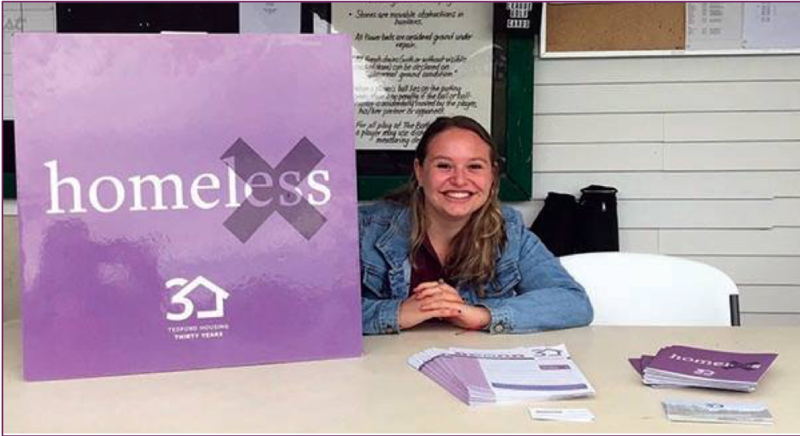 Several dozen students attended the Spring Volunteer Fair, one of two such events sponsored annually by the Joseph McKeen Center for the Common Good. 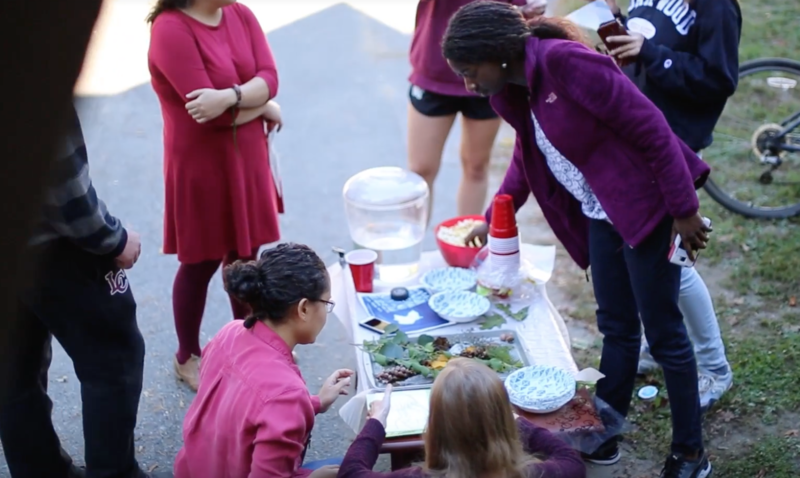 It’s a biannual tradition at Bowdoin, happening once in the fall and once in the spring, when Bowdoin’s clubs — old and new — gather at the Student Activities Fair to recruit new members. 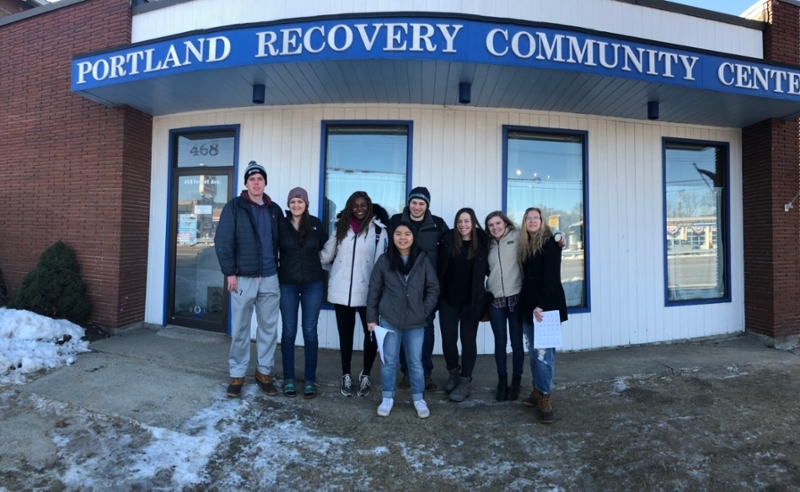 Bowdoin’s Alternative Winter Break program, launched five years ago, offers students a chance spend a week in January doing intensive, meaningful work. 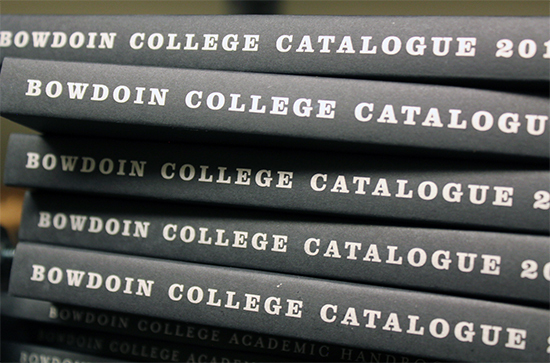 Approximately 85 Bowdoin employees volunteered last Thursday for a morning’s worth of service. 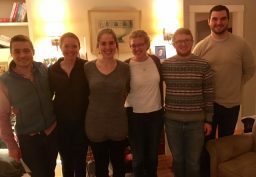 The six Bowdoin Teacher Scholars in the Spring 2017 cohort began their student teaching experience on January 3rd. 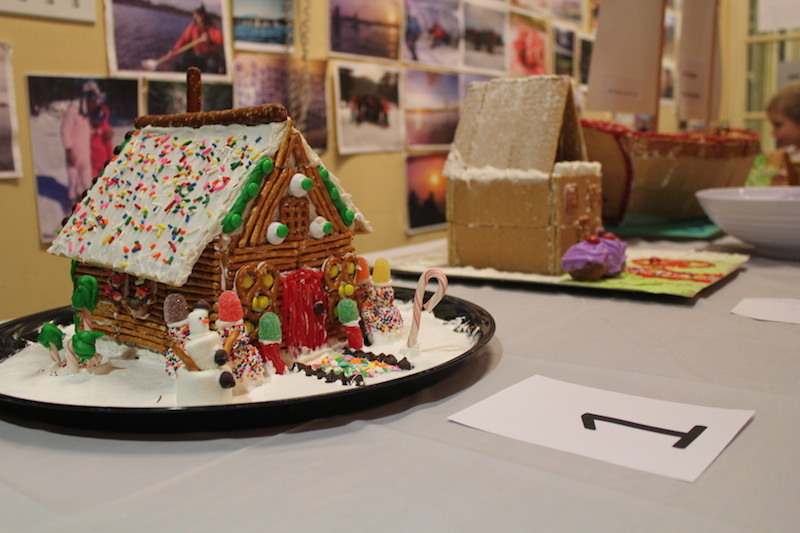 Groups of students affiliated with campus offices competed last week to see who could build the most elaborate gingerbread house. 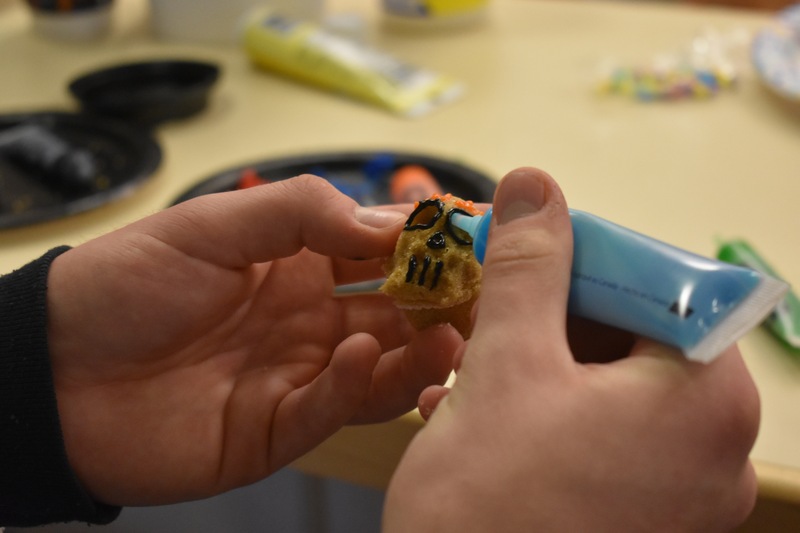 The Outing Club, Student Center for Multicultural Life, Office of Religious and Spiritual Life, Women’s Resource Center, Counseling Services, and Resource Center for Sexual and Gender Diversity all made some seriously detailed masterpieces. The controversial linguistics professor and political commentator took aim at US foreign and domestic policy, describing America as the most white supremacist nation in the world. 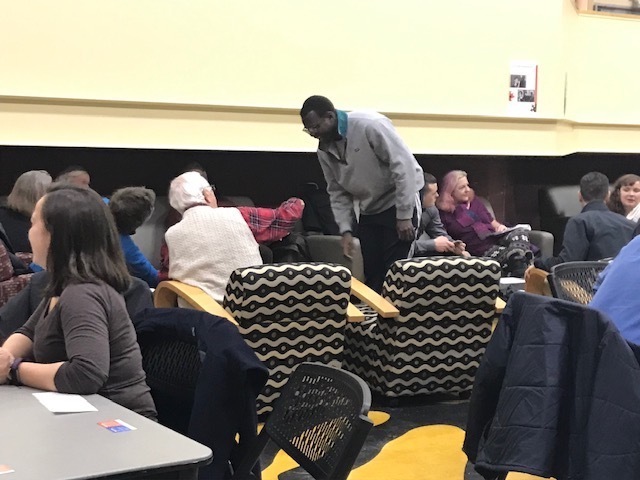 The event was part of “What Matters,” a discussion series organized by the McKeen Center for the Common Good. 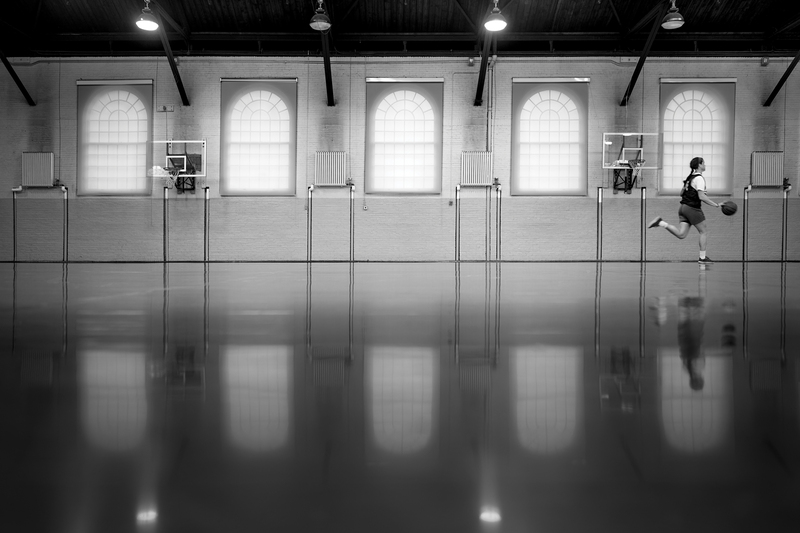 At Bowdoin, we work together, instead of competing against each other.